A common growing pain for many small businesses is a build up of paperwork. And while it may something your business has become used to, it can be a big win in terms of saving time and costs. 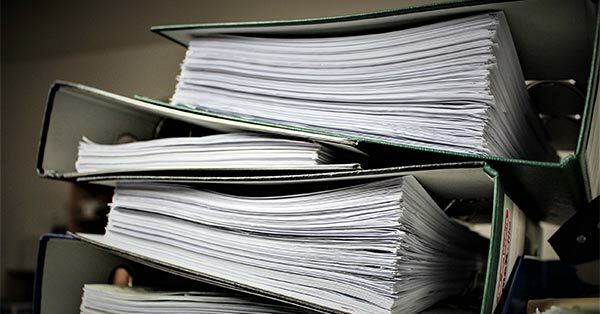 An overload of paperwork can cause big headaches for owners and managers, bring day-to-day operations to a crawl, and hinder sustainable growth. An overload of paperwork usually occurs at the point where a business is outgrowing how it manages its financials. Starting out, you probably only have one or two employees looking after the books. With only a few users, you decide that basic financial software will be enough. Without sales and CRM functionality, your team has to spend hours every week manually entering in data from the sales reps into the system so you can invoice clients. In addition, the business might also be utilising spreadsheets to manage inventory and capture information like sales and commissions. You have manual, time-intensive processes for getting invoices to clients and duplicated information kept in multiple sources, managed by various employees. The more sales you get, the more pressure builds on this process and the harder it becomes to maintain. The end result is a constant backlog of invoice reconciliation to manage due to double-entering data, checking different sources for the correct data, and fixing manual entry errors along the way. Month-end continually becomes a larger task as more transactions increase the reconciliation task between systems. It all ends up creating an overload of paperwork. Additional pressure is lumped onto your team. Time is spent fire-fighting instead of working on more strategic, revenue-generating business activities. 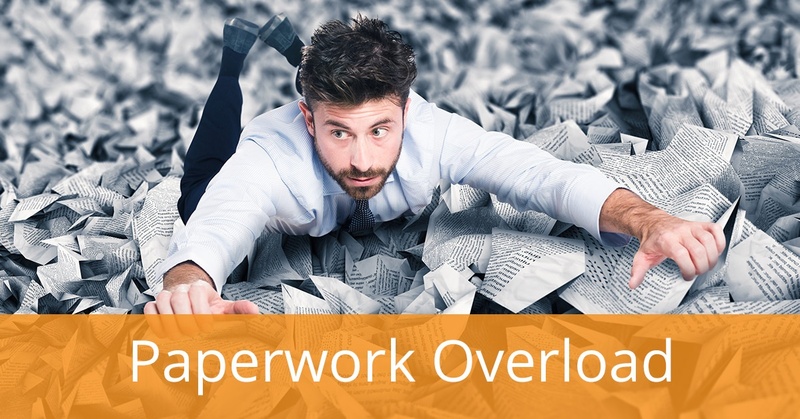 So what can you do to solve paperwork overload and get back to growing the business? How can you go paperless and leverage business systems that save you time instead of costing you time? Here are five ways you can reduce your paperwork burden and set your business up for faster growth. Is your team spending a considerable amount of time re-entering and reconciling data? If so, it’s a clear sign you’ve outgrown ad-hoc systems, financial software and other disparate processes that may be struggling to manage all your business information. When the same data exists in several different systems, it creates more work because of the time it takes to re-enter data manually. That duplicate data also creates two key problems when it comes to data entry. The first issue is accuracy. It doesn’t matter how careful your team or their attention to detail is, when it comes to double handling (or even triple handling) data, it will eventually cause errors. Fixing these errors can be time-consuming. Errors add another, unnecessary cost to the business. The second problem area is fractured data in multiple systems. Data entered by different people in different formats. With two sets of information that differ slightly, how do you know which is correct? The integrity of your data is then called into question altogether. Time is then spent confirming information and reconciling data from conflicting sources. With a single, central source of real-time data made possible with an ERP system, you can eliminate the lengthy process of entering the same data into different systems. If you’re not ready to invest in ERP software, at the very least, choose one system as the source of truth for each type of data. For example, have all sales or CRM information stored in the one application that everyone will use consistently. When you’re ready to grow into an ERP system, it will make the transition a lot easier. "With two sets of information that differ slightly, how do you know which is correct? The integrity of your data is then called into question altogether. Time is then spent confirming information and reconciling data from conflicting sources." Using spreadsheet software to manage your inventory might seem like an easy solution when you’re first starting out. But it can quickly become complicated. As you grow and your sales and product lines increase, spreadsheets can end up costing your business significantly. The biggest issue with using spreadsheets to manage your inventory is human error. How many times do you press the backspace key when writing an email, updating a word document, or entering information into a spreadsheet? Multiply that number by how many people in your business are updating spreadsheet information. That’s a lot of potential errors. The time and resources it takes to fix errors from manually entering data can add up quickly. Fixing errors means costing your business time and money. From an inventory management perspective, stock-related errors, such as inaccurate stock levels, can impact the business’ reputation and its relationships with customers. Imagine needing to fulfil a customer order only to discover there isn’t enough stock to complete it, even though the spreadsheet records list adequate levels. Situations like these are common when using spreadsheets – particularly when inventory is involved. Learn more about why relying on spreadsheets to manage inventory can cost your business in this article, Stop Using Spreadsheets, Start Using Inventory Management Software. If you’re not careful, you can start to lose visibility on what’s happening across your business. As your business grows, you add new employees, your sales levels increase, you open new locations, and your inventory expands. Information becomes more difficult to locate, and inaccuracy becomes more common. The reason for the loss of visibility? At this stage in a business’ growth, many are using a patchwork of systems to run the company. For instance, accounting software manages finances, spreadsheets take care of inventory, and locally-kept Word documents house customer details and agreements. A mobile workforce compounds the problem further. Employees tend to save files locally on their devices, like laptops and tablets. It can get frustrating when trying to locate business-critical data. Look at systems which give you real-time information that can be accessed by multiple parts of the business. Having one central system, like an ERP, can give your business enhanced visibility and provide a common platform for all employees to access data from across the business. For instance, finance staff can view a complete history of customer interactions, sales reps can see stock amounts and administration team members can see other team’s calendars, tasks and reminders. This means everyone in the company can quickly answer the dreaded, “Where’s my order?” question from any customer, should they need to. There’s no longer a need for jotting down notes or leaving post-its on a sales rep’s monitor. Everyone has access to the information they need - when they need it. Having a greater level of visibility across areas like sales, inventory, productivity and profitability, can also help to identify any obstacles. You and your team can quickly uncover issues, trends and opportunities. You can make critical decisions faster and with more confidence. And, you can do it all as part of a paperless office environment. Keep visibility high using the right digital systems for your business needs. It results in less printed, outdated reporting and the ability to make faster business decisions. "As your business grows, you add new employees, your sales levels increase, you open new locations, and your inventory expands. Information becomes more difficult to locate, and inaccuracy becomes more common." When trying to grow a business, reporting is critical. Reporting helps you gain clarity about your financial position. 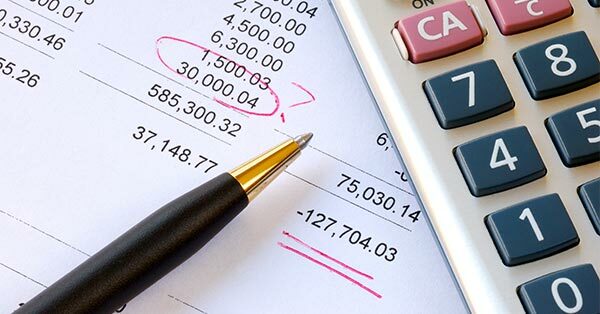 However, for most small businesses, reporting is a manual process that takes too long and might not always give enough detail on what’s impacting the financial position. For instance, were sales affected by stock shortages of key items? Did you carry an excess of old stock which then had to be written off? How effective were your marketing efforts in bringing in new customers and generating sales? When you’re running reports from multiple sources, checking and consolidating that reporting can take too long. Days can pass as the report is emailed from one individual to the next, adding their relevant information or cross-referencing. The view of your business position is no longer current – it’s days or weeks old. Aside from being time-consuming, if the data is inaccurate or out of date, it can affect the quality of your reporting and the decisions made as a result. In contrast, live reporting based on real-time data can be extremely valuable. It gives you the business intelligence needed to quickly and clearly understand your business performance – as it’s happening. 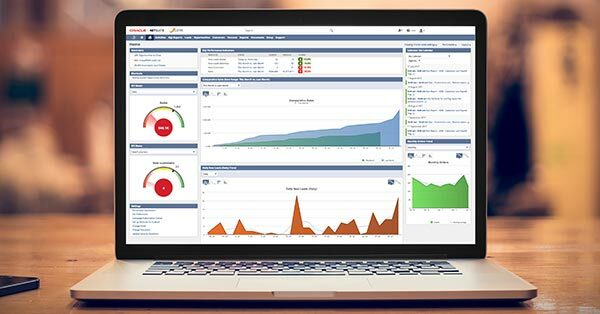 An ideal solution to access live reporting is by using business intelligence dashboards. They can be set up to report on data from multiple areas of the business and present you with the most up-to-date information – all on one screen. When it comes to forecasting, there can be a tendency to trust your instincts rather than spend the time and effort compiling data that’s sitting in multiple systems or documents. After all, it’s frustrating and can be difficult to get accurate information, all in the one format so that you can do a proper trend analysis – without printing dozens of paper reports that create a war zone out of your desk. Rather than sift through various systems to get the data you need to prepare your forecasts, consider whether it’s time to move to better business technology that provides a single source of data, like a cloud ERP system. Forecasting needs a single source of truth to be reliable. Bring everything together and start leveraging the real-time, single-source data that you know will be accurate and up to date. Start thinking about the right business system that can support your forecasting requirements. "An overload of paperwork can weigh you down and stop you from working on strategies that will grow your business." An overload of paperwork can weigh you down and stop you from working on strategies that will grow your business. Rather than limp along using the same processes and systems you set up when you started your business, think about using clever business tools that will improve your process management, business visibility, and data integrity. For instance, a cloud ERP can bring all your information and data together in a single, central system and improve data access for all employees, assist with inventory management, give you more visibility across the business, speed up reporting procedures and give you a better picture of future performance. And, you can truly go paperless in the process. What’s the next step to reducing your paperwork burden and saving your business time and costs? Start by getting in touch with our team of ERP solution specialists on 1800 528 783. Let us know about your business needs so we can let you know how the right technology can unlock faster business growth. Want to know more about how your business can leverage technology to increase visibility and grow faster? 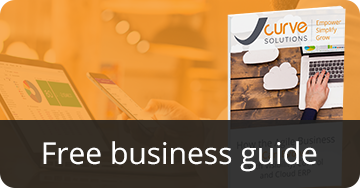 Get your free guide, How the Agile Business Can Evolve with Visibility, Control, and Cloud ERP.